Before we dive into the advertised topic, I have an important PSA to issue. Rejoice, Xbox owners! The oddly named Nier: Automata – Become as Gods Edition is now available for Xbox One. This port of the great PlayStation 4 title comes packaged with the disastrously named 3C3C1D119440927 expansion, along with the Machine Mask accessory, the Cardboard Pod skin, Retro Grey Pod skin, Retro Red Pod skin, and Grimoire Weiss Pod. For those of you who have Xbox One X, Nier: Automata is enhanced with HDR10 and 4K Ultra HD visuals. Publisher Square Enix and developer Platinum Games are selling it for less than I expected, debuting at just $49.99. I was late to the party on playing Nier: Automata, and I strongly suggest Xbox players not make the same mistake. Play this game as soon as you can. When it hits its stride (after a couple of hours), it continually pounds out excitement, variety, and crazed, superhero-like boss battles. 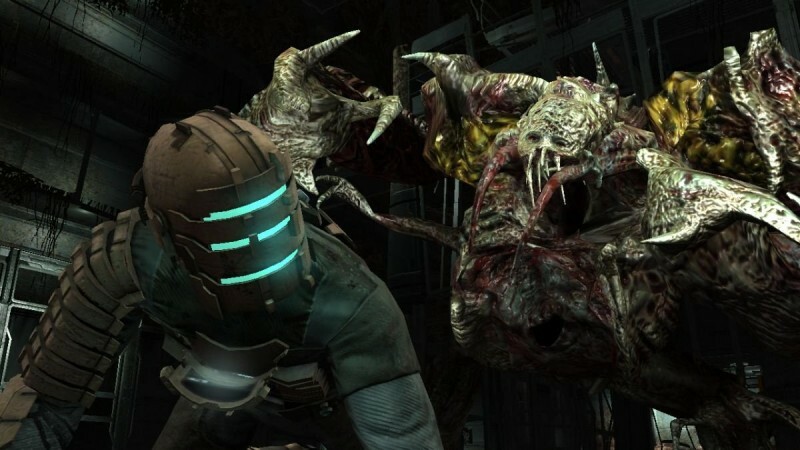 I didn't want to say this out loud, knowing it would rile people up, but the surprise game announcement I wanted to see most at E3 was the return of Dead Space. Five years have passed since Dead Space 3, and I figured that was more than enough time for the Necromorphs to be on ice. Alas, EA didn't even hint at the possibility of this series returning. This was wishful thinking on my part, especially since the series' development studio, Visceral Games, is no more, but we need planet-cracking ships, Red Markers, and boot-stomping action back in our lives. Yes, EA has a full plate of sci-fi coming our way soon with Anthem and a number of Star Wars projects in the works. I'm excited to see what comes of those games, especially Respawn's Jedi: Fallen Order. Still, Dead Space deserves another shot. One subpar game shouldn't have killed the series. That's too short of a leash for this promising sci-fi/horror franchise. In terms of other science-fiction universes that disappeared too soon, don't jump all over me for not mentioning the big players in the genre. We all want more from Half-Life, System Shock, Portal, BioShock, Chrono Trigger, Alien, Deus Ex, Crysis, and maybe even Perfect Dark. Let's focus more on the fringe titles that were trying to move science fiction in games forward, but didn't quite hit the mark, or were too ambitious in scope. What about The Dig? 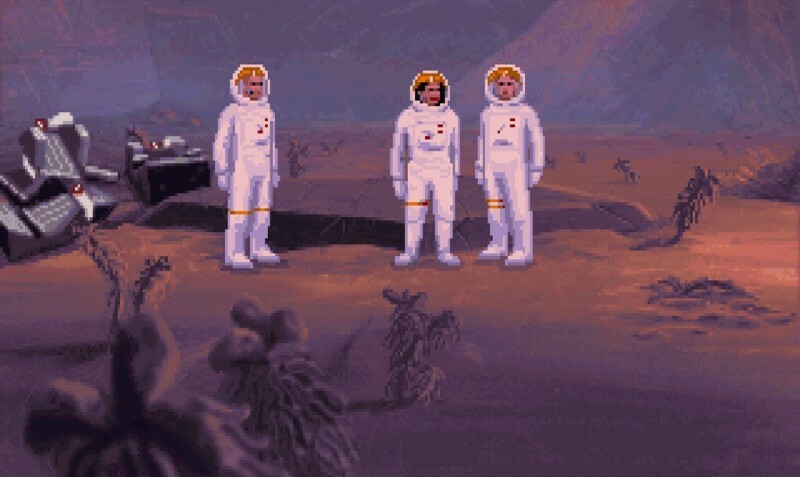 Released in 1995 as a point-and-click adventure, The Dig sizzled with mystery, and delivered the sensation of being on an expedition into the unknown. The game begins with scientists detecting an asteroid on a collision course with Earth. A team is sent to plant explosives on the asteroid, but soon learns it's hollow, and isn't an asteroid at all. As the team tries to gain an understanding of what is happening here, the rock transforms into a dodecahedron pod, imprisons the crew, and rockets into deep space, eventually landing on an alien world. This setup would be perfect for an open-world experience that favors exploration and discoveries over combat...at least early on. Part of the challenge would be keeping all of the crew members alive and well, perhaps allowing for permadeath in specific scenarios, which would alter the outcome of the game. We need more sci-fi games that are slower in pace. 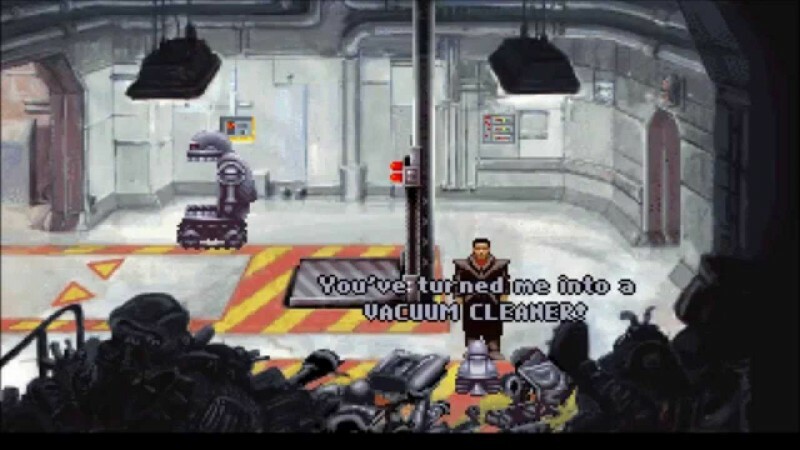 Held in the same breath of old point-and-click adventure games, Revolution Software's Beneath a Steel Sky didn't get the attention it deserved in 1994. Developed in conjunction with famed artist Dave Gibbons (Watchmen), who also helped write the script, Beneath the Steel Sky invites players to explore a cyberpunk world built up on remnants of society ruined by pollution and nuclear war. The game begins with a lengthy animated sequence featuring Gibbons' awesome art, and doesn't waste time showing off crazy sci-fi technologies in a world on the brink of collapse. The player assumes the role of Robert Foster, a person who grew up in the wilderness known as "The Gap" and suddenly finds himself in the city, and a part of a larger mystery. He also has a robot that can transform and adapt to the world. I could see this game living on as a story-driven adventure, perhaps in the vein of the Life is Strange series, focusing heavily on character development and relationships. I'd love to see it use cel-shadding to retain Gibbons' style. This relic from yesteryear somehow found its way onto iOS in 2009 as a remastered version, and it's a damn fine port. If you're looking for something radically different to play, and don't mind old-school adventure gaming, give it a shot. The story is awesome...at least a younger version of me thought so. My final pick is Wing Commander. I played the living hell out of the first five installments, and then looked on in horror as the series was twisted and pulled in directions it never should have gone. We need more space combat games. Period. Wing Commander would generate excitement if it went back to being a single-player, story-driven experience. Heck, bring back Mark Hamill for more live-action story sequences, complete with the somewhat terrible looking Kilrathi suits. I would devour that. And no, it doesn't have to live solely in campy nostalgia. Wing Commander has the story chops to be extraordinary. The universe is there to be tapped, but I doubt it'll ever see the light of day again in the way we want. 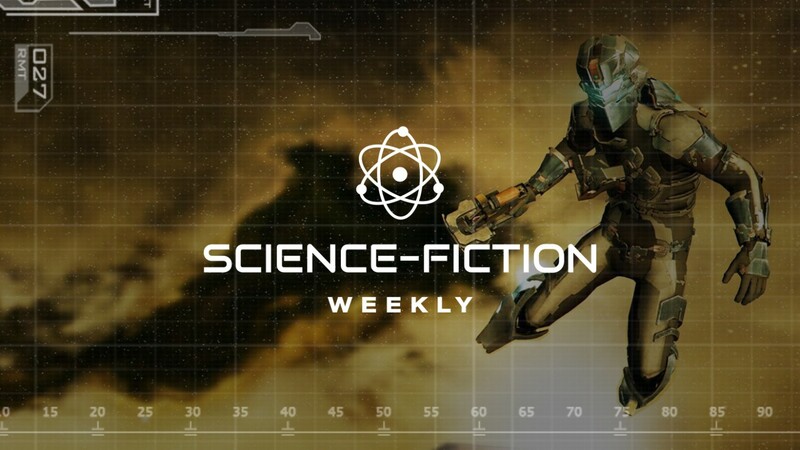 Which sci-fi game series do you think are primed for a return? Let me know in the comments section below, and make sure you watch the intro video to Wing Commander III: Heart of the Tiger, if you haven't seen it already. Hamill is fantastic in these games. It also shows you that George Lucas should have made more Star Wars films about Luke.